Over the past several decades, trends in education have come and gone or been resurrected with a new name. “Group work” is now called “cooperative learning.” Teacher-centered learning in the form of lecture and discussion in secondary education has taken a back seat to student-centered learning where students have a greater voice in determining how they will investigate the standards that make up the curriculum of a given course. Cooperative learning has taken its place as the basis of a movement called “constructivism,” where students construct their own learning through the development of real-world problems, discovery-based activities, and student reflection guided by the teacher. One recent outgrowth of the constructivist movement in education is the advent of Project-Based Learning (PBL). As an extension of PBL, using alternative assessments outside of traditional paper-and-pencil tests has also become popular. Students can demonstrate understanding through creative writing, performances, or project development. 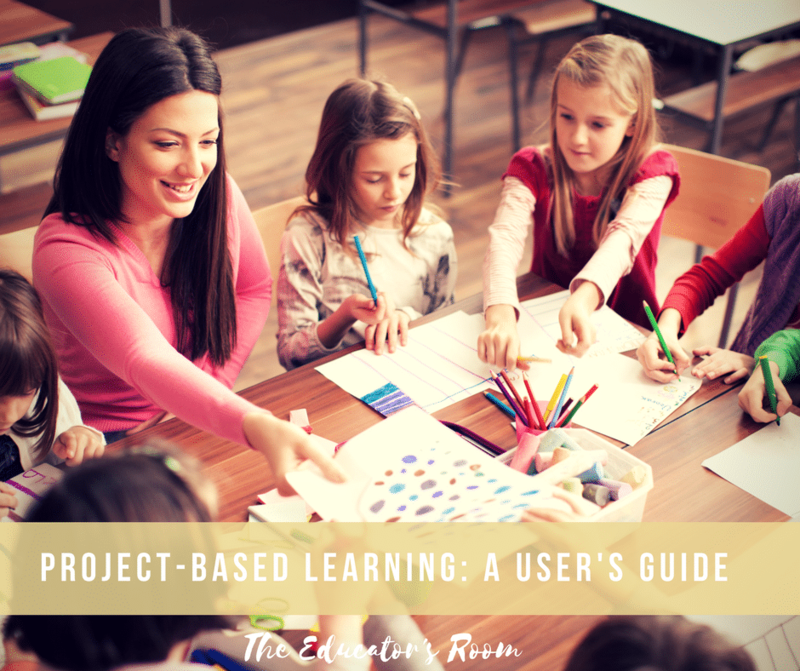 This ancillary aspect of PBL is appropriately called project-based assessment, or PBA. Projects executed in class do not necessarily need to be assessed through PBA since PBA can be used as a stand-alone method of alternative assessment. Such an option gives any student who needs an innovative or non-traditional way of demonstrating knowledge an alternative from the traditional multiple-choice or objective test. Project-based learning presents both advantages and disadvantages for classroom teachers, so its use is still on the rise and not fully accepted everywhere. Creating and evaluating effectively designed projects requires intensive training on the part of administrators and teachers. Well-designed projects motivate students to engage in a deeper level of learning and thinking because the students have a higher level of “buy-in” when deciding what form their learning will take. They should also be directed to engage in projects that involve real-world problems that they might be asked to solve later in life, either in their daily lives or in their careers. Projects that help students employ critical thinking and the scientific method are especially valuable for later application in maintaining a budget, running a household, starting a business, and determining the effectiveness of consumer products and medical research. 1. The student learning goals that are developed from the standards of the school or school district. 3. Project based teaching practices (PBL 101 Workbook, Buck Institute For Education, 2015, pg 54). Once teachers have introduced the learning goals to the students, they must then consider what form the project will take and begin to design it. Project design must align the project activities to the standards teachers are required to convey throughout the school year as the central elements of their course. They must also build a culture of collegiality and cooperation among the students, usually by developing a sense of teamwork and common purpose. Teachers can choose to provide direct instruction periodically and as an alternative to group-based instruction as a project unfolds and progresses. Teachers can also assess student learning in smaller chunks and through more traditional formative and summative assessments such as quizzes, free response questions, and constructed responses that can count for grades or that can be used to determine students’ prior knowledge. Once the learning process in the confines of the project is well underway, teachers engage students through small-group discussion, individualized coaching, and providing verbal and written feedback in shorter project phases. These conversations also challenge students to revise and extend their critical thinking, engage in deeper learning, and apply it to the driving questions that are at the root of their project’s curricular standards. Be focused on key knowledge and understanding from the standards while encouraging students to engage in critical thinking, problem-solving, collaboration, and self-management. Involve a meaningful problem or question to solve, but it must also be age-appropriate and designed to be developmentally tuned to the student. Involve sustained inquiry: an active, in-depth investigative process over time that calls for the development of resources, well-executed research, and the presentation of empirically confirmed results. Be authentic in that they explore learning in a “real-world” context. The project must reflect processes that are reflected in the reality of students’ experiences both on the level of their daily lives and also with respect to students’ concerns, interests, and their identity. Include “Student Voice and Choice:” Students will be given the chance to make some choice about the product, working groups, and utilization of class time with input and guidance of the teacher. By having a say in the topic and product of the issue being investigated, students will devote a higher level of dedication to their success. Reflection: Students will provide feedback and commentary on what they have learned and how they have learned it. Students can critique each other’s findings and conclusions in debriefing sessions and class presentations that give opportunities for interaction on their topics. Teachers can use student feedback to adjust the project’s formation and direction in the future. Public product: Gold standard projects must be made available to a wider audience outside of class. When students understand that their final product will be available beyond the classroom by way of the internet, public gathering, or news broadcast, they often perform at a higher level and with a deeper interest in being intellectually successful. Project-based learning provides teachers with a wide variety of learning modalities depending on the project type. Students will more often than not be engaged in both internet research and traditional research in the library, so they will develop skills in evaluating sources, detecting bias, and determining fact from opinion These skills are then available for students as they move through their college years and in the workplace. They will also be working on collaboration, empathy, self-advocacy, and time management as the project unfolds and develops. The teacher must be available and attentive to intellectual issues, interpersonal issues, and learning style problems that can interfere with successful discovery learning. Project-based learning does not come without its challenges. Students may lack the prior knowledge or problem-solving skills to make progress on the project independently. Students must express a certain level of maturity to achieve the “buy-in” needed for the group to make progress and develop a product worthy of sharing with a wider audience. Teachers can assist students by providing well-structured choices, well-developed resources, and by providing questions that shape student responses and activities. Teachers themselves must be adequately prepared to amend their own teaching style to become more of the “guide on the side” rather than the “sage on the stage.” In a highly functioning PBL classroom, the teacher would ideally become “the sage on the side.” (That role does not rhyme, but it does have some alliteration). The transition to project-based learning will not happen overnight. Districts that embrace this form of pedagogy are still feeling their way through the poorly illuminated process of training teachers and working out student schedules (if every teacher is implementing PBL, it is possible a student may be saddled with six or seven projects at once). The effect of PBL on standardized test scores has shown a decline in those test scores, not because students are learning less, but because it is harder to apply PBL’s situational learning to the structure of a standardized test. If the projects are aligned to the standards and the standards are the center of the classroom activities, teachers can help students apply their learning to specific types of test questions. But it takes time and practice to get students there. It will take buy-in from both teachers and students to make PBL a widely accepted approach to learning at all levels of education today and in the near future.